With summer in full swing, many horses will be feeling the heat. Horses are much better at keeping themselves warm than cooling themselves down. Even standing in the field during a heatwave can cause stress, asking our horses to travel and exercise is a tall order and potentially dangerous if we don’t look after them properly. During exercise, heat is produced as a by-product of energy production. When the temperature is warm outside, this heat can build quickly. Horses find it especially difficult because they have a large body mass relative to their surface area, making cooling more inefficient. The body is not designed to operate above a certain temperature, so as it heats up, it also slows down. To help your horse maintain energy levels, a good starting point is to ensure they are fully fit and not carrying unnecessary bodyweight. Being overweight means that your horse has to work harder to carry its own body weight and fat also acts as insulation, making it even harder for them to cool down. Generally horses take a few weeks to acclimatise to exercising in hot weather, so they don’t usually get the chance in the UK. The best thing to do is to improve their fitness during cool spells and focus on management to get them through the heatwaves. You may need to change your routine to avoid the hottest part of the day, riding early in the morning and moving turnout to overnight where possible. You can also reduce warmup times when competing in the day. If you need to turnout in the day, ensure that the field provides shade (you may need a manmade shelter) and plenty of water. Don’t underestimate how much heat stress can be caused when travelling. Ensure all windows are open and, if necessary, leave earlier in the day to avoid hotter temperatures and heavy traffic. When you arrive, it may be cooler for your horse to stand outside in shade rather than on the lorry. Water is an excellent cooling strategy, especially after your horse has competed or for use between rounds/classes. Use a bucket, hose or large sponge to dowse your horse all over and repeat several times. When finished it is best to scrape the water lightly to remove excess and improve evaporation (which takes heat away). Installing a fan (both in the stable and in your lorry) can help to move the air and will really help cool a wet horse after exercise. Just be sure they can’t reach the wires! Your horse relies heavily on sweating as a cooling method, so their water requirements increase dramatically. 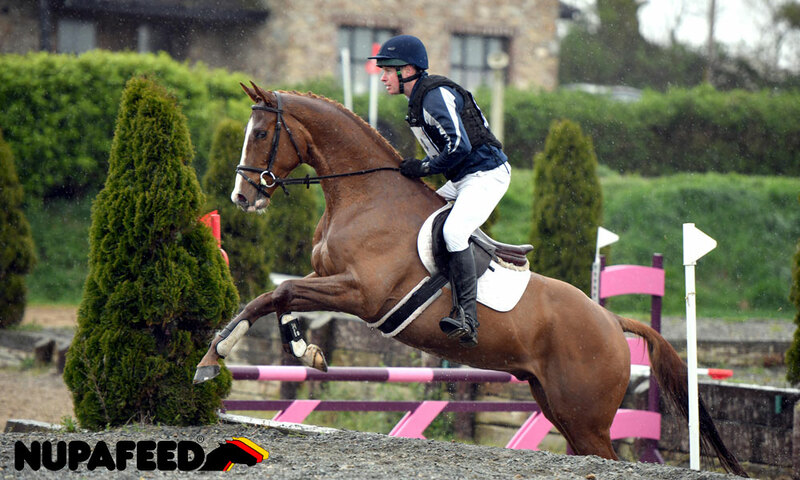 Your horse can lose up to 10-15ltr of fluid per hour when exercising, primarily through sweat. Ensure that your horse has free access to water at all times. Be aware that using an automatic water means that you do not know how much you horse has had to drink; buckets are preferable from this perspective. Some horses are ‘fussy drinkers’, so try to create a strategy to make sure that they drink sufficient when they are away. This might mean taking their stable bucket with you to a show, or adding something to the water to make it more palatable (without them drinking excessively). Your horse’s sweat also contains electrolytes; sodium, chloride, potassium, calcium and magnesium. These also need replacing to maintain optimal cell function. The first step is to ensure free access to a salt block. Additionally, an electrolyte supplement should be used when your horse is exercising and sweating heavily. It is essential to allow free access to water when giving electrolytes, and they should naturally increase your horse’s desire to drink. Some supplements are designed to be dissolved in water to achieve the best concentration and improve rehydration, but fresh water must also be provided. Adding feed is rarely an option and unlikely to help unless the current diet is providing insufficient calories. Generally horses are less active in the heat so, if anything, their energy requirements are slightly less. Fast release energy sources can have a fizzing effect, but this often results in greater fatigue once it has worn off. The potential for gastric/digestive disruption and weight gain also need to be considered. Similarly, energy supplements often contain carbohydrates (complex sugars) to provide fast release energy substrates during exercise - like a runner taking energy gels during a marathon. These may be useful for horses performing prolonged periods of hard work but, if they are not needed in normal weather, there is no need for them in the heat. 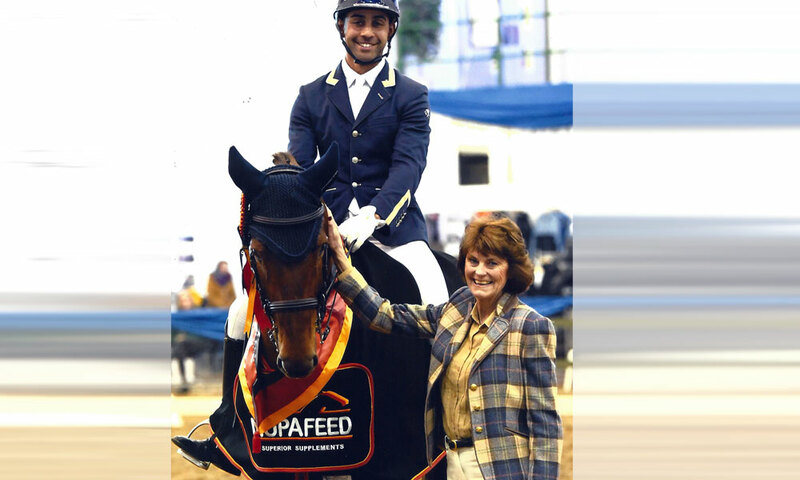 A supplement such as Nupafeed Staying Power can be useful to help support healthy energy metabolism. Rather than providing calories, it works in addition to a balanced diet to support muscle performance and fat metabolism, for more sustainable energy production. Hot weather comes with some further complications that are worth considering. Many horses a driven mad by the flies, often to the extent of causing stress and potential injury. In addition to fly masks, rugs and sprays, try to bring horses in during the day and avoid still water (ponds etc.) that will encourage flies. The hard ground can cause a huge amount of stress to your horse’s joints. Using a joint supplement such as Nupafeed Flex GLM is a good idea to help support cushioning and repair. While hot, dry weather provides great grazing for the ‘good doer’, sudden rainfall can result in a flush of rich grass that could result in laminitis – don’t let it catch you off guard! Clipping can really help horses with heavier coats, especially those with Cushing’s disease because they are not able to shed their coat normally. High factor sunscreen should be used for patches of bare pink skin that will burn easily. Also be careful not to clip your horse’s coat too short if they have patches of pink skin. Like us, horses can suffer from heat stroke. Look out for signs of lethargy and listlessness, labored breathing and elevated heart rate. Your horse's temperature is best measured rectally, you are looking for a reading of 37.5-38.5 degrees centigrade. Their pulse (heartrate) should be 32-36 beats per minute. Their respiratory (breathing) rate should be 12-15 breaths per minute. If any of these factors are elevated then there is cause for concern. After moderate exercise these values should return to resting after 10-15minutes and even after strenuous exercise they should be normal within 30minutes. A further check is for hydration. 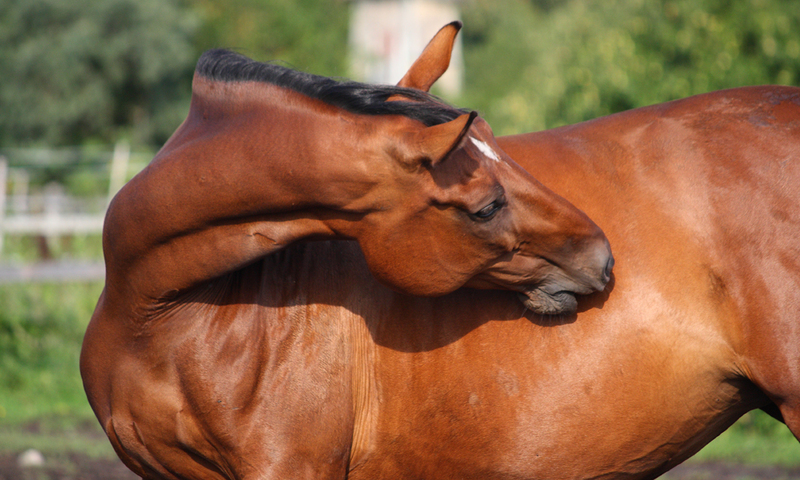 Firstly perform a pinch test on your horse’s skin at the point of the shoulder; it should spring right back into place. If it does not, this is an indication of serious dehydration. Next, check their mucous membranes – the pink flesh in their mouth and nostrils – if these are dry this indicates more moderate dehydration. Also check their capillary refill time by pressing your finger to their gum, the area should turn white from the pressure and then return to a healthy pink colour within 2s. 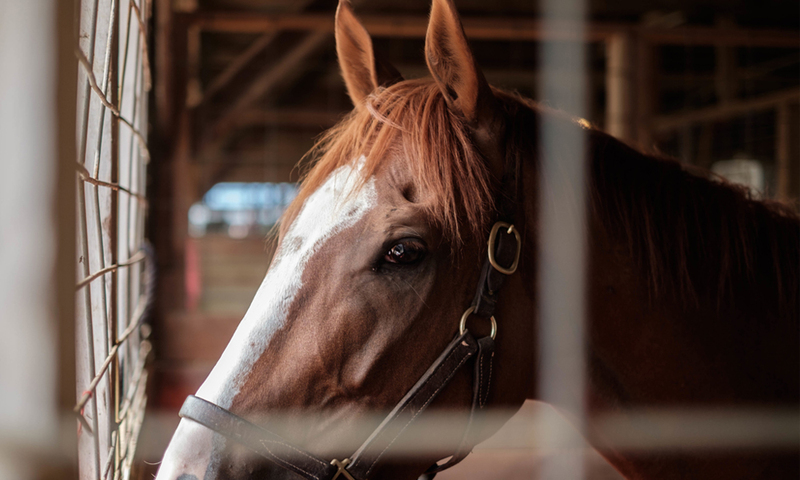 If your horse appears in any distress or fails any of these tests, ensure that you take steps to cool them, encourage regular drinking in moderate amounts and consult your vet. Anhidrosis describes a horse that does not sweat or sweats insufficiently. This mostly affects horses in hot, humid countries, but it can also occur in the UK. Look out for a lack of sweat during exercise, poor performance and labored breathing. Your horse’s coat may also be poor and thin. Anhidrosis is poorly understood but your vet can test for it, so you should always speak to them if there is a concern. Currently there is no treatment, so management (using the cooling strategies discussed earlier) is essential.